You can now analyse your Instagram Insights with Fanpage Karma. We have a bunch of new KPIs for reach, clicks and stories for you! Compile all the new metrics in your Analytics dashboard. A star on the profile picture indicates for which profile the insights are granted. Next to regular metrics for growth and interactions you will now find the reach of your profile in your dashboard. This includes the whole of your profile as well as individual posts and stories and more. The header of your Instagram profile offers several different buttons to select. Your Users can email, direct message, call or look you up on the map. Fanpage Karma Analytics assesses which of these buttons got pushed how often in a set time frame. Instagram Stories are getting more and more popular for businesses. However, in order to evaluate how successful your story is you have to take other factors into consideration than for regular posts in your timeline. How often was the story viewed? By how many Users? How often was it replied to? How often was it wound back and forwards or closed all together? Six new KPIs to analyse your stories. 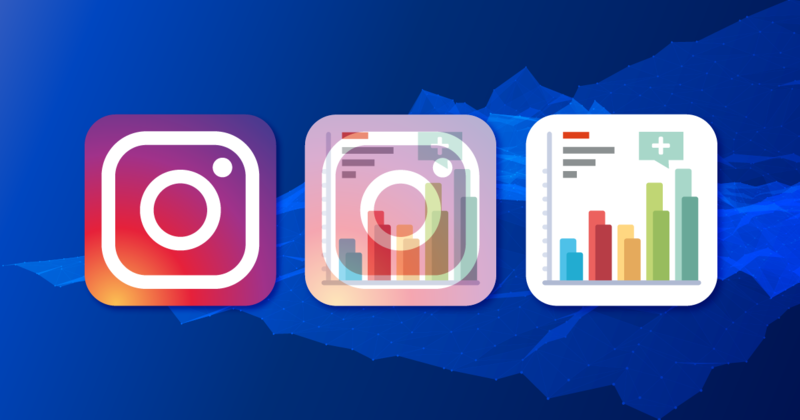 Do you want to know how far your Instagram Posts and Stories are reaching? Come visit us at www.fanpagekarma.com to set up your own dash- and chartboards. All the new metrics are included in the free 2-weeks-trial of Analytics. After that they are available as of the Business Verion of Analytics. Have fun with it!